GameStop says Team Ico's The Last Guardian is canceled and has dropped the game from its preorder lineup, but Sony says that's simply not true. The Last Guardian, designed by Ico and Shadow of the Colossus creator Fumito Ueda, was originally expected to come out in late 2011 but in April was pushed back to sometime in 2012. A few months later, Sony Worldwide chief Shuhei Yoshida admitted that the game was taking a lot longer than expected, but insisted that work was ongoing. "We're still making progress, so I'd like to continue to support and keep waiting for great news sometime in the future," he said at the time. And now here we are in the future, but the news is not great. It's not necessarily bad, either, but it certainly is confusing. GameStop has reportedly pulled the game from its "coming soon" list and has been contacting customers to tell them it's canceled. The game is no longer listed on the GameStop website and two retail locations told Kotaku it's no longer in their point-of-sale system either. Both Ueda and The Last Guardian Executive Producer Yoshifusa Hayama recently departed Sony for greener pastures, which presumably can't bode well for the game, but in spite of that Sony says the game has not been canceled at all. Sony's Senior Director of Corporate Communications Patrick Seybold said the report is simply "not true," while Yoshida has said on Twitter that the game has not been canceled. So what's actually going on? The truth of the matter will likely become clear fairly quickly; fingers crossed that when the dust settles, reports of The Last Guardian's demise will turn out to be greatly exaggerated. UPDATE: Good news, everyone! GameStop screwed it up. 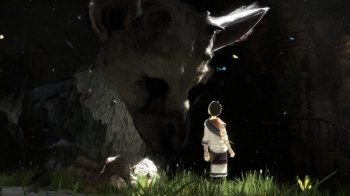 "The Last Guardian has not been cancelled by Sony as we incorrectly stated in an automated call to reservation customers," the company said in a statement. "Because the game did not have a specific release date, GameStop made the decision to remove the game from our system. The Last Guardian will be reinstated for pre-order when a firm launch date is known." So hang on to those preorders, folks! Your patience will be rewarded - eventually.